Contact Freddy Vaudrey for further information and to discuss your project. 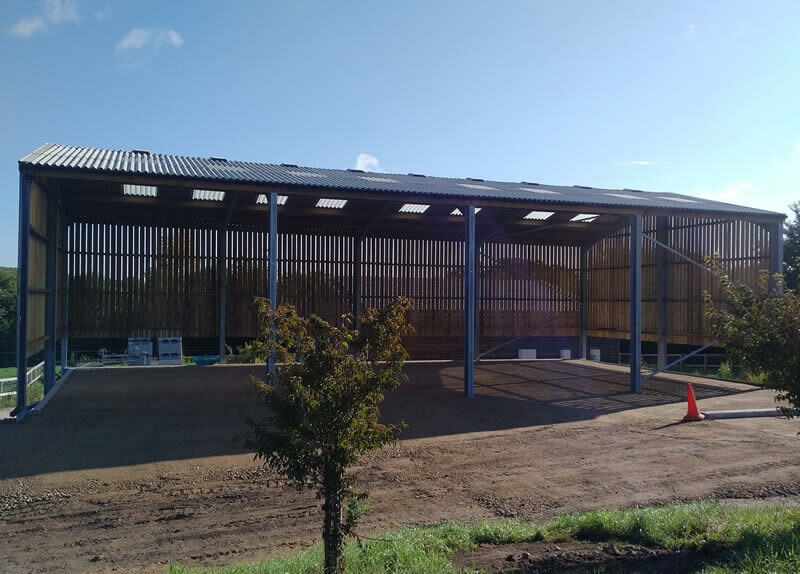 We regularly construct a wide range of agricultural buildings, predominantly turnkey and groundworks packages. The company has extensive experience in constructing bulk stores, grain stores complete with drying and handling equipment should it be required, which allows us to tailor the projects to your specification. We have been involved with many different projects, including livestock buildings and general purpose buildings. We have also completed cold stores, workshops and specialist sprayer buildings. The company has widespread experience in the placing, laying and finishing of concrete, both in structures cast as in situ formwork and slabs of concrete (roads, hardstands, and lorry parks). We can assist you with design and all other aspects of concrete work.